One of the things that tend to happen a lot when we are developing with a database is that we need to peek at the data, and a lot of the time, just looking at the data one document at a time isn't good for us. We noticed that a lot of users will create temporary indexes (usually map/reduce ones) to get some idea about what is actually going on in the database, or for one off reporting. 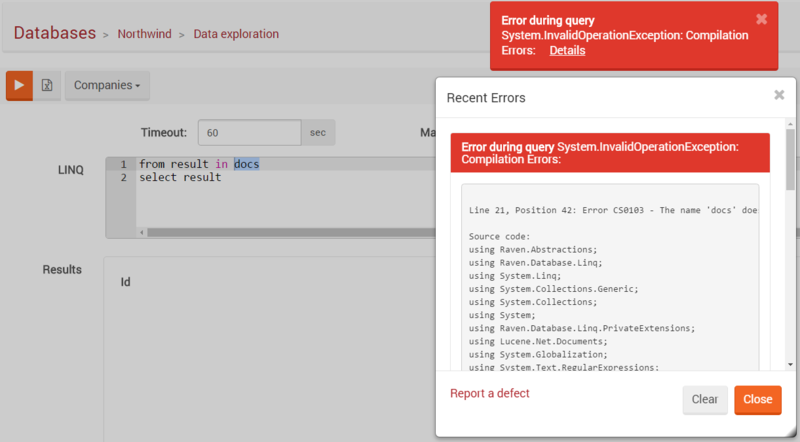 That is pretty inefficient, and in order to handle that, in RavenDB 3.5 we added the Data Exploration feature. 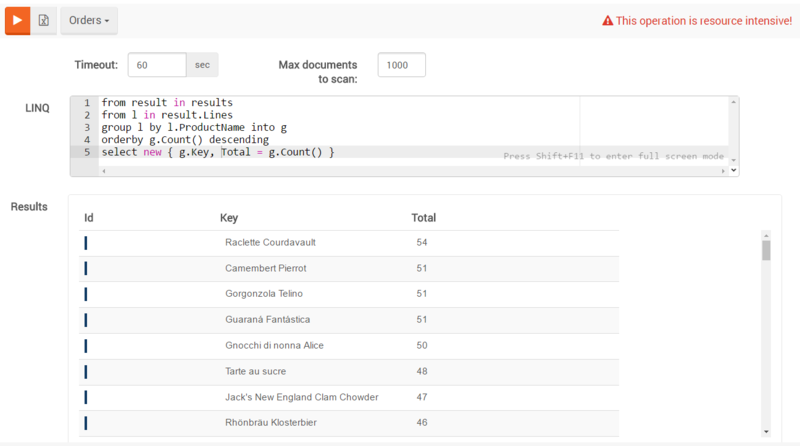 It gives you an easy way to explore the data in detail - by using LINQ. First, you must choose a collection to search in. Then, you may write a LINQ query in the LINQ pane. The results will be displayed on the Results pane. Another option is to export the results to a CSV. Before running the query, a syntax check is performed and warns about wrong usage. You must use the word "results" as the collection name or you will get a compilation error.